A thief took a phone, hat and cigarettes off of another man in Abington Street before running away. 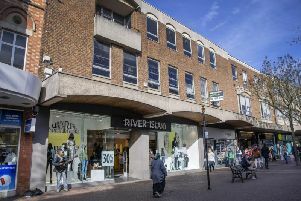 A man was pickpocketed of his phone and hat in Northampton town centre before the thief ran away. Officers are looking for witnesses to the theft which happened on July 22 at about 7.50pm. A man took a phone from another man’s pocket, along with a hat and cigarettes on Abington Street before running away. The offender is described as a 20 to 30-year-old, slim white man wearing a black hooded top, black jogging bottoms and the stolen black cap.